Every business is engaged in sales. And nothing can handle the sales process like Retail Mass POS solution. POS Billing software should serve as a backbone to your sales function. With Retail Mass Billing software, you can keep your employees updated about inventory levels, product features and give them the opportunity to upsell things, thus streamlining the sales process. No longer should Billing software be seen as a sales counter solution, but as a dedicated sales and product information management terminal. Not only will it help to manage inventory, but also will enhance the operational efficiencies of your sales team. POS Billing System helps to keep your sales team updated and also speed up the checkout process for your customers. By keeping a record of every customer’s purchase, billing system also helps you build a reliable database that can be used for future marketing to improve the sales revenue. Using this database, you can keep your customers updated about your latest offerings and also analyze their shopping patterns, giving you useful insights to plan your future purchase orders. With the help of Retail Mass POS Software, business management becomes quite easy. As the software takes care of everything from inventory to sales, all you are required is to supervise operations and keep your employees motivated to improve sales. The POS software, in fact, becomes an indispensable part of your business that can promise more than what is expected of it. Retail Mass POS Billing Software can promise great benefits to a growing business engaged in sales. By utilizing its full capabilities, a business can easily accelerate on the path towards growth and sustainability by keeping inventory, sales and customer management woes at bay. Being an all-inclusive package make POS billing software an essential to keep up with rising expectation of customers. 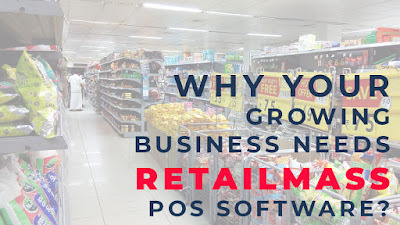 By efficiently integrating the Retail Mass POS Software solution in various business operations, a business owner can think of expanding his/her business without worrying about management problems that arise due to expansion endeavors. Thus, not only will POS streamline current operations, but also assist a growing business in fuelling the growth aspirations. 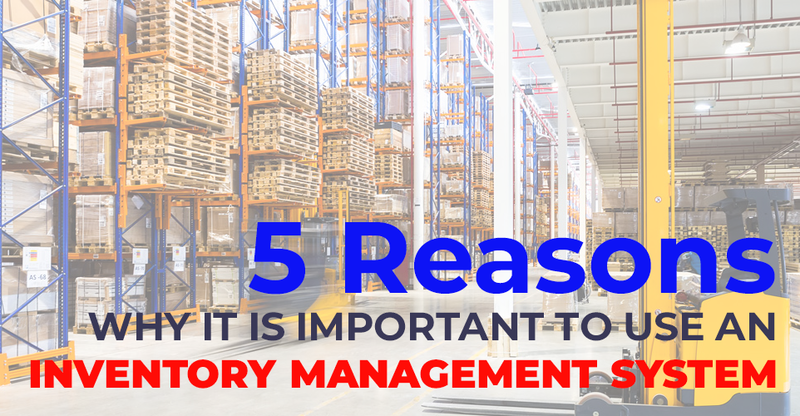 Inventory management software has the ability to store information on every item and for every point of their journey. Therefore it provides complete visibility over the complete inbound and outbound flow of products with the ability to provide further information regarding its status and location if needed. Inventory management billing software help you make key functional decisions based on analytics and data insights. It helps you keep your warehouses at optimal storage efficiency and also acquire more warehouses if need be, near key customers and successful retail outlets that may further expand performance as well. 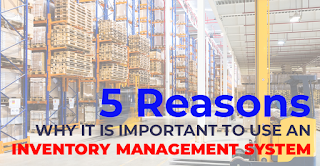 Businesses used to shy away from using inventory management software as they were cumbersome and didn’t provide as many features as they do now. They were generally not worth the effort. But now, technology has advanced and the systems are much more powerful than before, being able to handle all aspects of the business chain even with legacy systems. They simplify your complicated processes and also help you gain long term benefits and better ROI on your business. Why should you get a Retail Mass Restaurant Billing Software? Retail Mass Restaurant Billing Software is quick to implement, easy to learn and smooth in operation which reduces the long standing queues of the customer so that their orders are placed faster and faster billing can be done. 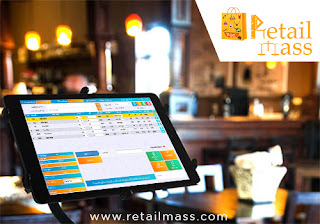 Retail Mass has solved the problem of restaurant industry by developing its Restaurant Software which ensures easy maintenance of different menus with different price list at different time of the day. The software has made billing easier by providing different modes of payments (cash & credit cards). With Retail Mass Restaurant Billing Software you can set operator wise foundations which can help in proper maintenance of finance & budget as well as resist any type of fraud. GST Compliant: We send GST compliant invoices, generate financial reports, do tax calculations, and help you file your GST returns without any hassles. Easy Implementation: Download Retail Mass Restaurant POS Billing Software and start billing in minutes or fill below form, and start managing your inventory accounts immediately. Our team will help you in implementation no matters where you are. Our 500+ tutorial videos, updated manual and a team of 250+ customer care executives are ready to make your implementation success. Collaborative: Retail Mass allows you to collaborate with your supplier, you can send orders to you supplier, get invoices from our server and colleagues without additional user fees. 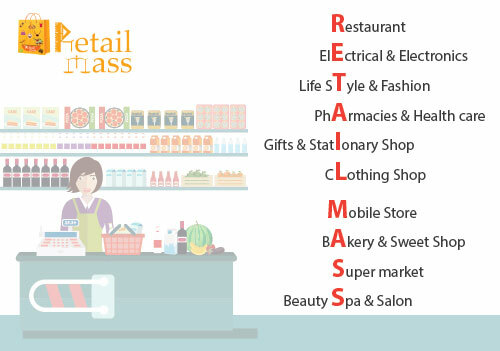 Customer - Driven Features of Retail Mass: Retail Mass assists every businessman with its impressive features which gives him 100% control over his business with flexibility, self-customization options and time to time innovation & advancements. Business Booster: Retail Mass can reward your business in endless ways and gives your business an advantage to stay on top; above the competition in the market. Improve the performance of your business by taking the maximum benefit out of Marg business boosters. 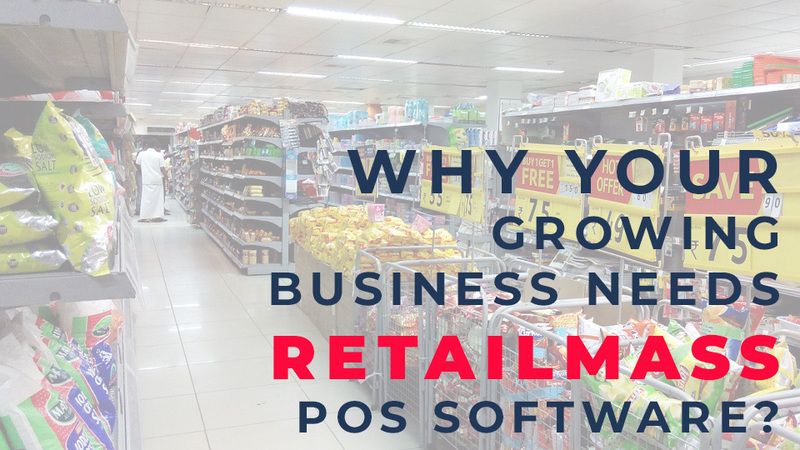 Why Your Retail Business Require Smart POS Billing Software? First of all, the POS environment has changed from requiring sizable investments on hardware to current cloud POS platforms that can work or connect with your current hardware POS Billing Software, and offered at SMB-friendly prices. In additional words, it has come to be an affordable business solution. Second, it provides immense value with so many benefits you gain from a POS Billing System. And third, it meets the increasing use of mobile technology through mobile POS especially now that more people are shopping, banking, and making payments using their mobile devices. Retail Mass 4 is a cloud-based point-of-sale and retail management platform that lets you effortlessly sell, manage, report, and grow your retail business. 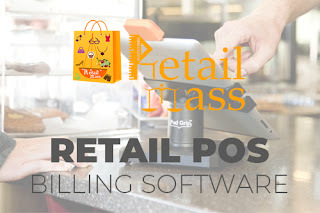 Retail Mass offers a POS Billing Software, multi-outlet retail capability, and an inventory management system, allowing you to run your business whether online, in-store. Retail Mass Billing Software is designed to work on iPad for added flexibility aside from Mac and PC, and supports mouse, keyboard, and touchscreen systems. With core functionalities built around inventory management, e-commerce, analytics, and customer loyalty, it helps you boost product management as well as track and organize customer data. Suitable for use a wide range of business types like electronics, health and beauty, food and drink, toys and hobbies, jewelry and others, the solution provides high customization that lets you modify the system for your specific operation. It is able to work with existing business systems, equipment and hardware including bar-code scanners, receipt printers and cash drawers. It is manageable and easy-to-use, primarily requiring only a web browser on any device. What is unique about Retail Mass? Web-based and iPad POS can connect and work on iPad, Mac or PC and syncs in the cloud so you can use one platform. If internet disconnection is no problem as you can continue with your selling operation with the system automatically resyncing your sales when you get back online. Completely customizable online store in minutes and have your products online with just one click. No technical or web expertise is needed. Retail Mass POS Billing Software multi-task management. You can use an array of tools to manage inventory, cash, orders, central product catalog, pricing and promotions, reports and dashboards, and customer information. Labels: Billing-Software, Billing-Software-for-Shop, GST Billing Software, Inventory Management Software, POS Billing Software, POS-Software. The current business ecosystem today is fast changing and as a business owner, you must adapt to survive these changes. One of the most changes is the impact of the online market. If your business is not leveraging the growing business internet market, you are missing out big time. Present days, to survive in the highly competitive online market, you must provide a seamless shopping experience. One way of doing this is implementing a system which allows you to take payments in online. A digital payment option helps you to unlock your business potential in various ways. Data is one of the major assets that any business can invest in today. Now that you have a self-service portal on your billing software system, you can collect valuable data which will help to create memorable customer experiences. You can check customers’ preferences, offer custom content on email marketing, contact a specific customer to follow up on any changes in their service portal and so much more. There are many other ways your GST billing system can improve customer retention levels for your business. It is a continuous platform to build an engaging relationship with your customers, improve the user experience, provide a personalized experience, and offer payment convenience. With a well-planned payment system on your online store, you are already on the right path in your customer retention journey. The current shopper wants a variety of choices in everything and when it comes to online payments, your billing system must offer convenience. It is no wonder then that a recent YouGov survey published on the Retail Billing Software Technology Review says 50% of shoppers cancel a purchase if their preferred payment method is unavailable on a site. Simply put, your billing software system must accommodate multiple payments to avoid customer churn. If you can agree for multiple credit cards, mobile money, and other digital payment options, you will make customers happy which in turn leads to increased sales and profitability. Potential client or customer will find it easy to complete orders which will, in turn, improve your brand’s reputation. Retail Mass Billing Software that handles the task of applying correct worth to the item terribly expeditiously. It’ll take into account all specification and current date time. as an example client for whom bill is being created, the retail outlet from wherever bill is being created, current date and time for presently active promotions, examination of various things from the bill to use applicable promotions. There are countless functionalities that are expected out of a charge machine at the checkout counters of retail business. One ought to be able to prepare the invoices terribly quickly, check alternatives for things, apply and recommend existing promotions to the purchasers etc. With business expected SQL server as an info engine Retail Mass POS Billing Software will handle terribly giant knowledge at an awfully smart speed. It offers you to spot and add the item quickly to the invoice exploitation bar code scanner, simple choice of item name or maybe item serial variety. It additionally understands over one bar codes for constant item. One of the challenge of a Retail Mass billing software is to apply the correct price to an item which can vary based on many factors for example price for a preferred customer, price to be used at a newly opened outlet, price based on currently active promotions which can also depend on other items in current invoice. One of the benefit that Retail Mass has over the older ancient charge or Inventory Billing Software is that, it been developed in recent years its trendy technical design. Due to its flexibility additionally called quantifiability in technical terms, this charge system may be utilized in a state of affairs of one laptop, even a pill and additionally during a state of affairs wherever several nodes are needed for giant preparation. 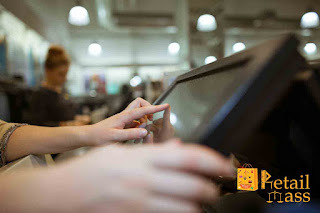 The main challenge of automating your retail POS computer code is implementing technology and providing computer code coaching to the staffs. Particularly for tiny business these challenges become troublesome to beat. What makes Retail Mass good retail POS computer code is its flexibility and quantifiability. As a tiny low business you'll be able to keep your initial investment less by automating your business with only 1 laptop and going with Retail Mass billing software on one terminal. During this setup all of your knowledge and operation are solely on one device. Need GST Billing software for multi user & multi device? 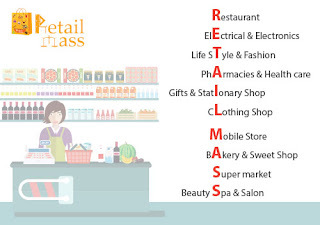 Try the new Retail Mass and get advanced billing Software features & full GST integration with our Retail Mass. Know where your business stands : Instantly see how your business is performing with customizable reports and dashboards. Take control of your cash flow : Enter bills from Retail POS Billing Software, and pay them only when they are due. Schedule recurring payments to save time. Connect your bank : Automatically import daily transactions to Retail Mass. Match your expense and income with bank transactions. Track your expenses : Record expenses for tax time. You can even photograph and save receipts with the Retail Mass.